A car accident can be emotionally and financially stressful and the anxiety can quickly build with all the confusing paperwork that follows in the wake of an accident. 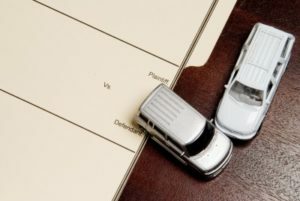 Most people never deal with these issues and paperwork until they get into a car accident. Our injury lawyers at The Law Offices of Gerald J. Noonan will handle all your paper work from the beginning. It is part of our overall personal injury claims service to provide help with car repair, rental and storage issues. Who will pay for the damage and repairs to my car after an auto accident? If your auto policy contains collision coverage: Arrangements will be made to have your insurance company repair your car. Your insurance provider will provide you with a list of area mechanics or body shops that they have worked with. By law, you are not obligated to take your car to one of these mechanics listed by your insurance provider. Arrangements should be made to get your car fixed by your own mechanic or body shop. At The Law Offices of Gerald J. Noonan our Massachusetts personal injury attorneys we will coordinate with all the insurance carriers to ensure that your automobile is repaired properly. If another drive caused your accident we will make sure that driver’s insurance pays for all your vehicle repairs. That means no out-of-pocket-cost and you won’t have to pay any insurance deductibles. The car repair process in the wake of an accident can be confusing and often leads accident victims to pay money for repairs that others should be flipping the bill for. At The Law Offices of Gerald J. Noonan we will take over this process for you. This will allow you to focus on more important issues.